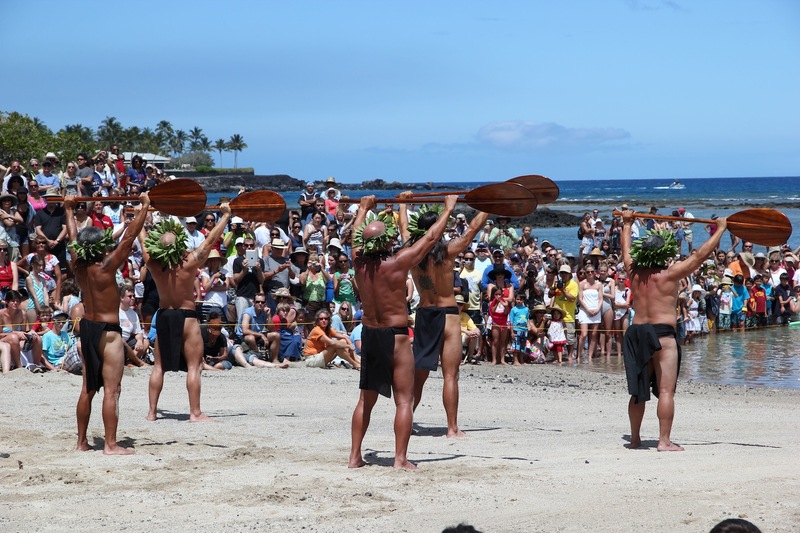 I hope you don’t mind that I share a few more stories from Hawaii. On 4th of July, we were blessed to have witnessed the Turtle Independence Day Celebration at the Mauna Lani Bay. 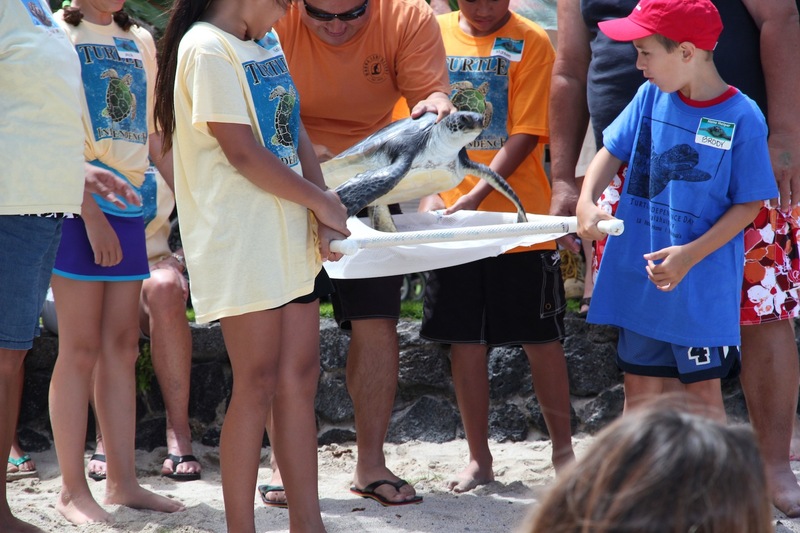 Since 1989, in cooperation with Oahu’s Sea Life Park, this resort has raised and released over 200 honu – Hawaiian green sea turtle – into the wild. The 6 youngsters released this year weighed between 17 to 24 pounds. An adult turtle can grow to 3 feet in length & can weigh up to 450 pounds. The Hawaiian green turtle is protected under the U.S. Endangered Species Act. Okay, I’m back! Btw, although not visible, I am rockin’ a red belt. What a beautiful place to be ! Yes! Yearning to go back already! Sorry for the delay in my reply. Thank you for your visit! More Hawaii posts pease! I can’t get enough. Thanks Heather! Just a few more…. Wow Jeannie! That’s amazing! Thanks for sharing all those wonderful pics of the celebration! I LOVE Hawaii! And I love your linen outfit too! Linen is the perfect material for vacations!!! As always, gorgeous photos! 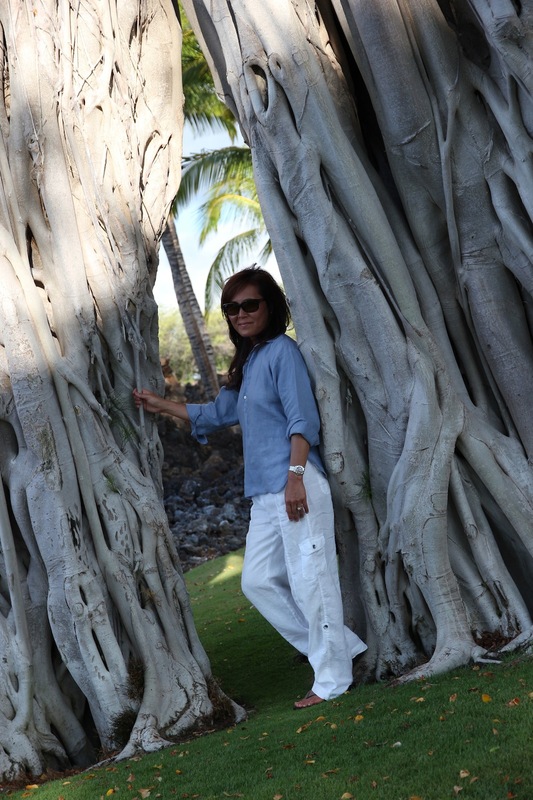 Love your cool and breezy look and those trees! They’re just amazing! So beautiful! 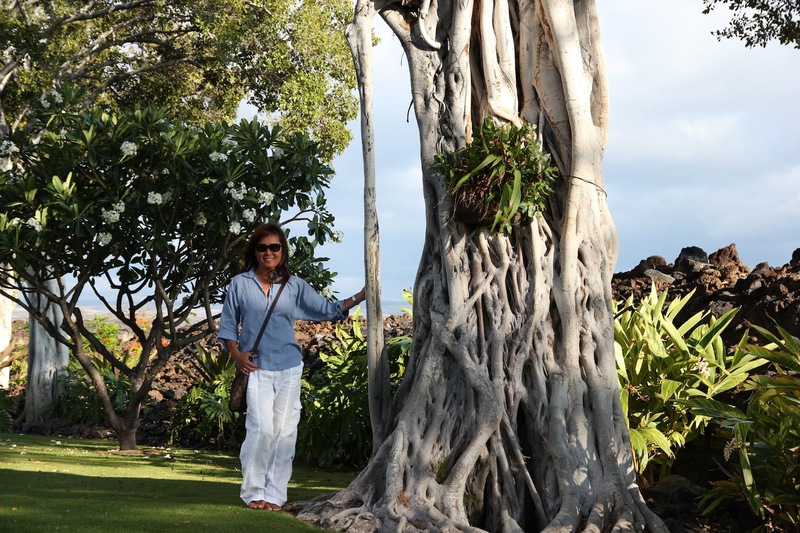 I felt like a kid standing next to those trees! I’ve never seen anything like it. I would love a driveway lined with those trees!! 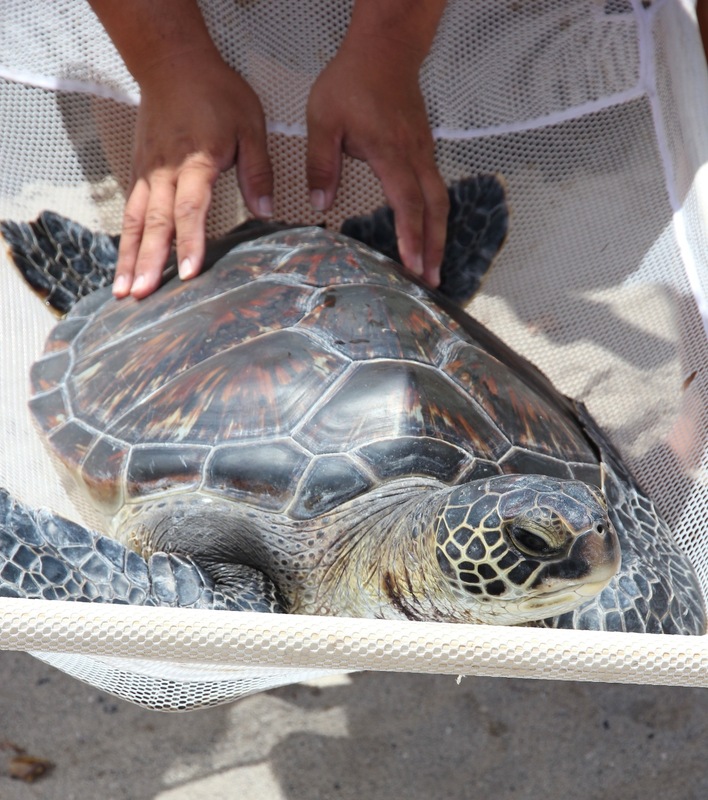 Love your pictures….especially the young sea turtles being released into the sea. We saw some fabulous turtles when we went snorkeling in Maui, they were so BIG – just magical. You look great as always! Well, you let me know when you’re ready to go back to Maui cuz I’m going with ya! I was lucky enough to actually swim next to one while diving in Belize…soooo amazing! Maui wouldn’t know what hit it, between the two of us!! let’s do it…. i am turning green with envy over here!! Oh, I’m back in full swing of things in the real world now…I just need to sleep, that’s all. It was a wonderful break, and I hope we can do it again very soon! I’m so glad I was able to witness the event…very cool indeed! The trees were awesome, too! You look fabulous as always!! How cool is it that y’all got to expereince Turtle Independence day!!! I love turtles and raised 7 pond turtles from eggs a few years ago. I know! Who knew they had their own Independence Day! Awwww… the turtles are so sweet! Jeannie, we saw a large turtle on the beach just resting…. someone said that they come back to the resort b/c it was their first home! I love your outfit and I love the turtles! Yes, please do keep on sharing your vacation stories – you are such an inspiration and the photos are gorgeous! 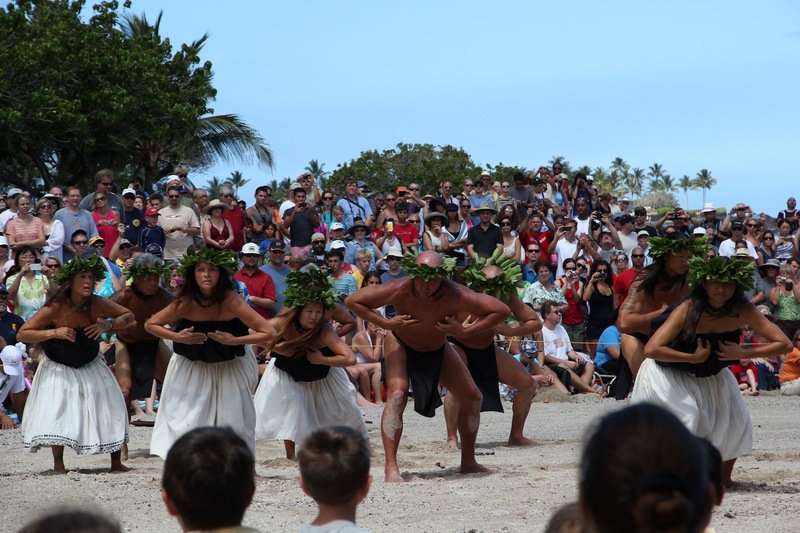 What a fun ceremony to witness on the 4th…freedom for the turtles! I’m also a fan of comfy for travel…it also has to pack nicely. Do you take a little steamer in your suitcase or how do you keep your linen from being major wrinkly when you take it out of the suitcase? It was very special. 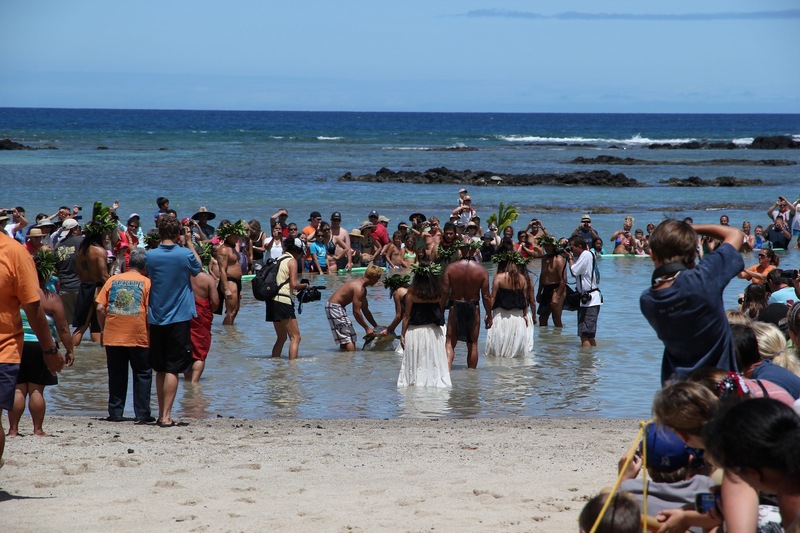 The ceremony, the dance and the chanting before the release was interesting as well. I did use the iron provided at the hotel for some but I don’t know why I even bothered….it wrinkled as soon as I put them on! That’s ok, I love wrinkled linen! This looks like a beautiful and meaningful celebration! Hi Jeannie, the event of releasing the turtles back into the wild is so meaningful and you are so lucky to be part of it! Kudos to the Hawaiians efforts in the conservation of these endangered species. Looking at your posts makes me wana book for a beach holiday soon! We had no idea this event was planned at the resort until we checked in…what a wonderful surprise! I thought it was very special, too! Have really enjoyed the vacation pictures — and you do look perfectly comfortable in the vacation wear! i’ve always been afraid of linen because of wrinkles, but there is NOTHING more comfortable! I really do love linen, and I love the wrinkles!! How beautiful landscape, beautiful vacation. A very appropriate outfit for the moment. The very impressive tree. Indeed, the trees were magnificent! 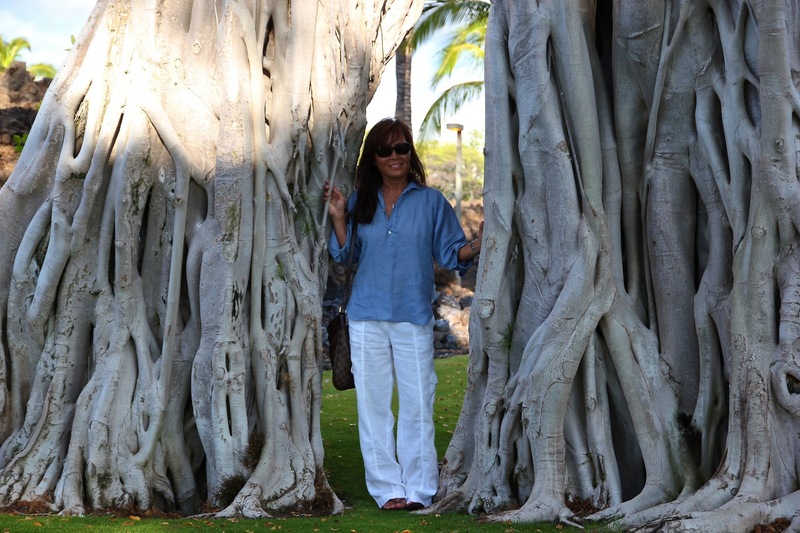 Jeanne–this is a perfect vacation look! What kind of tree is that that you are standing near? Hi Terri! 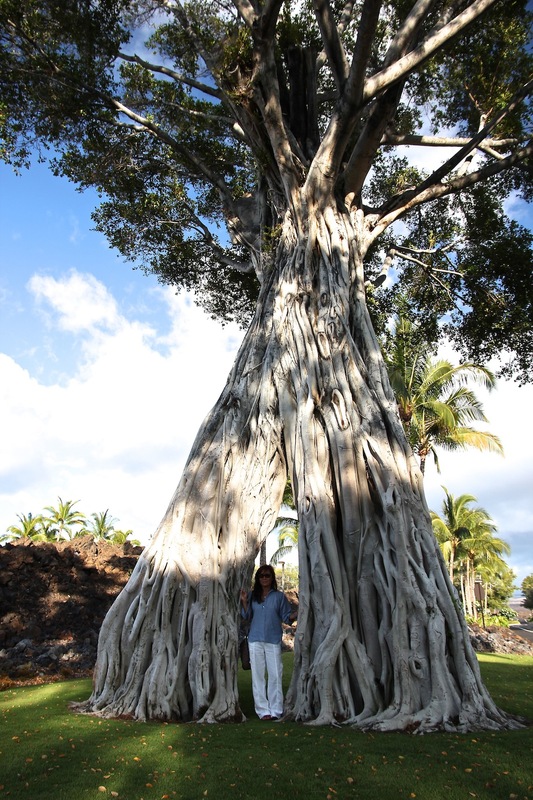 I believe it’s called banyan tree…I think. I thought they were so cool!